YO IPA, LET’S KICK IT! We celebrate the original Punch Bowl IPA and Russell Brewing’s 21st Anniversary by adding real grapefruit to compliment the tropical flavoured hops! The honey malt backbone carries the wild hop profile and grapefruit all the way to the club, check out this beer that our brewers have spun!  PART OF THE RUSSELL BREWMASTER SERIES – a succession of small batch beers crafted for an unconventional beer drinker.